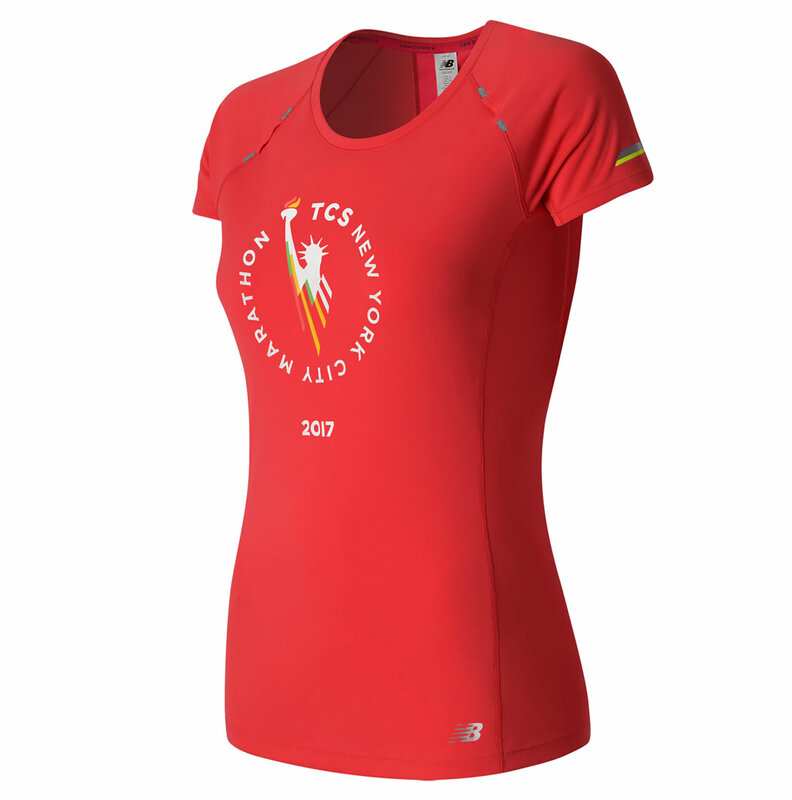 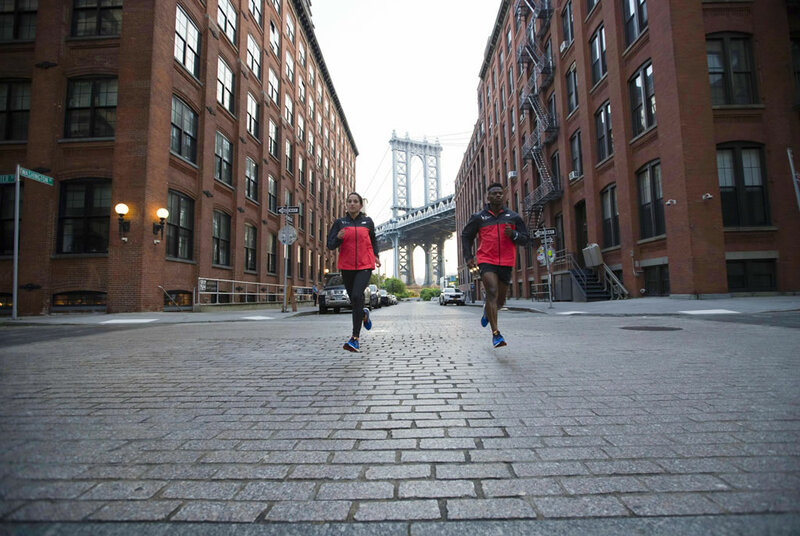 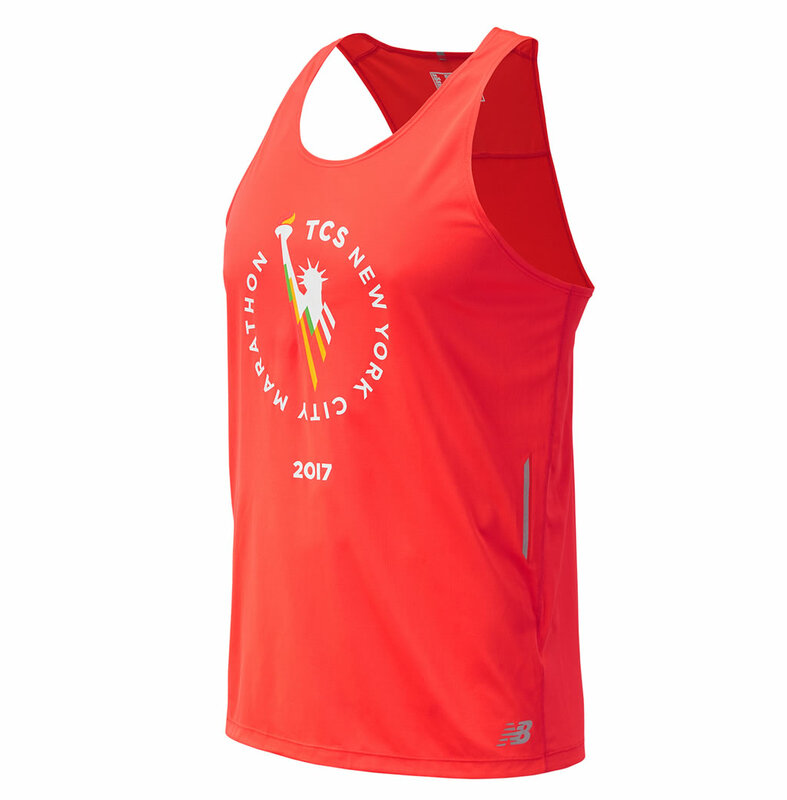 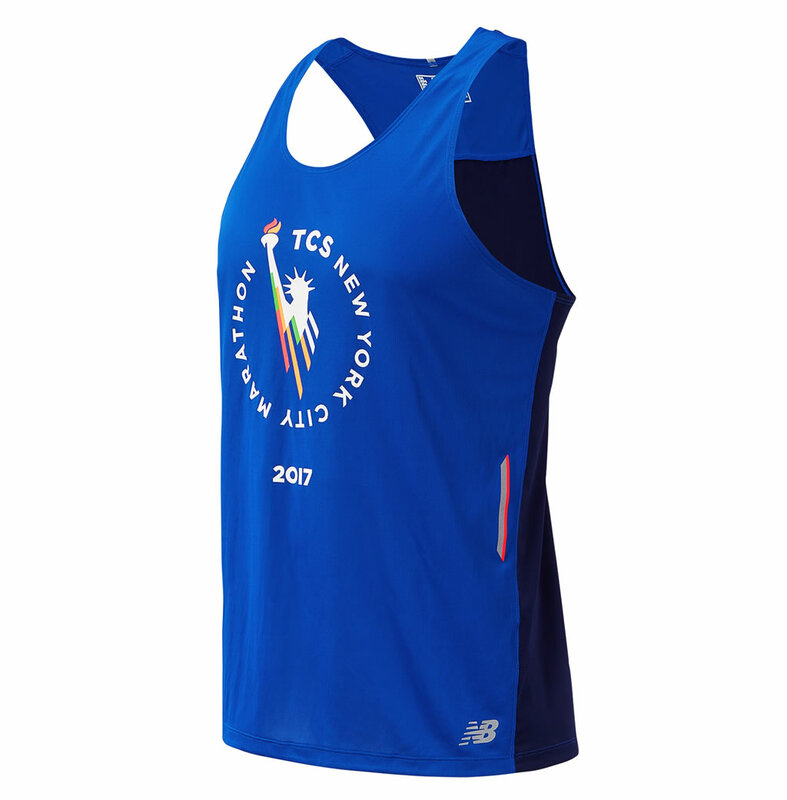 The TCS New York City Marathon is the largest marathon in the world, and this is the first year that New Balance celebrates the history of this iconic race by unveiling a special capsule collection inspired by twinkling lights and runners who are drawn to New York. 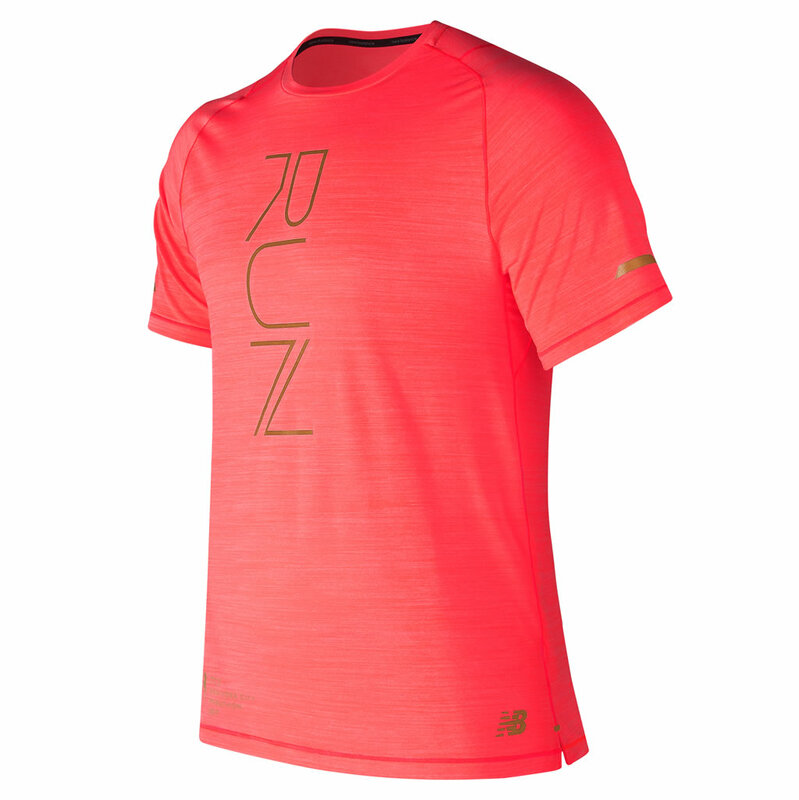 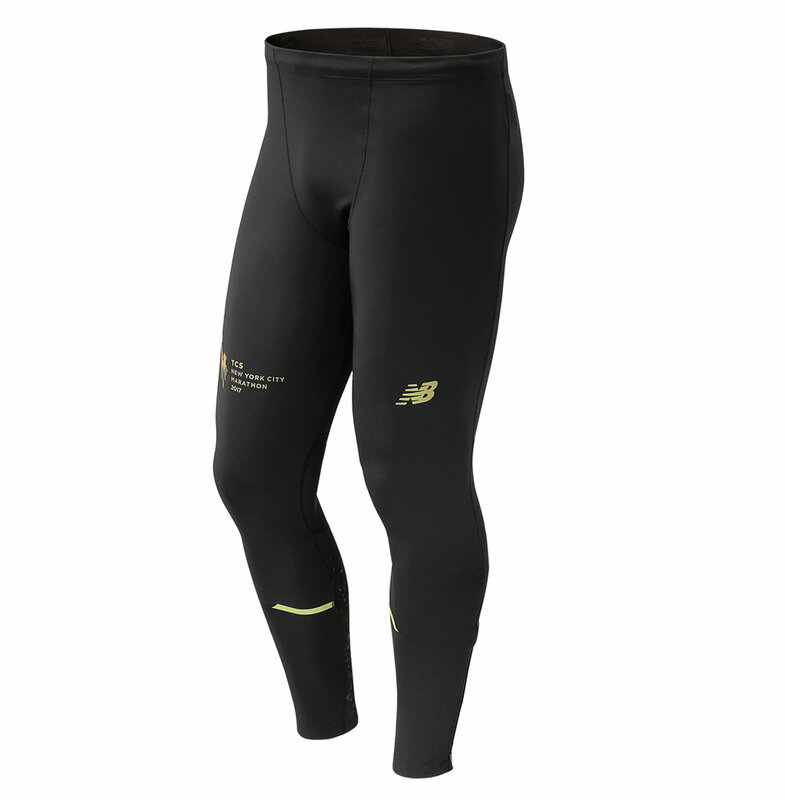 Boasting innovative designs and offering a variety of styles for any biomechanical need, this limited edition Marathon Capsule Collection comprises a footwear collection with four performance models, and an apparel and accessories collection that features technical running pieces, which caters the needs of runners. 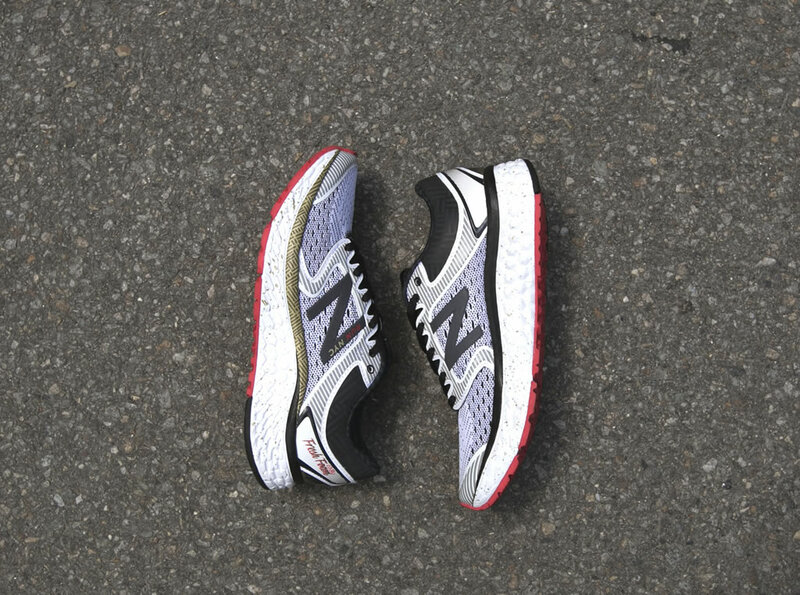 The New Balance Marathon footwear collection encompasses four models named 860v8, 1400v5, Fresh Foam Zante v3 and Fresh Foam 1080v7, all flaunting unique NYC inspired design elements. 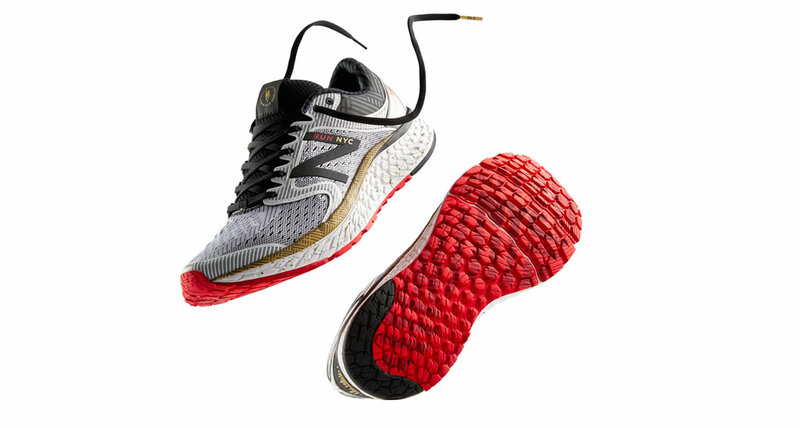 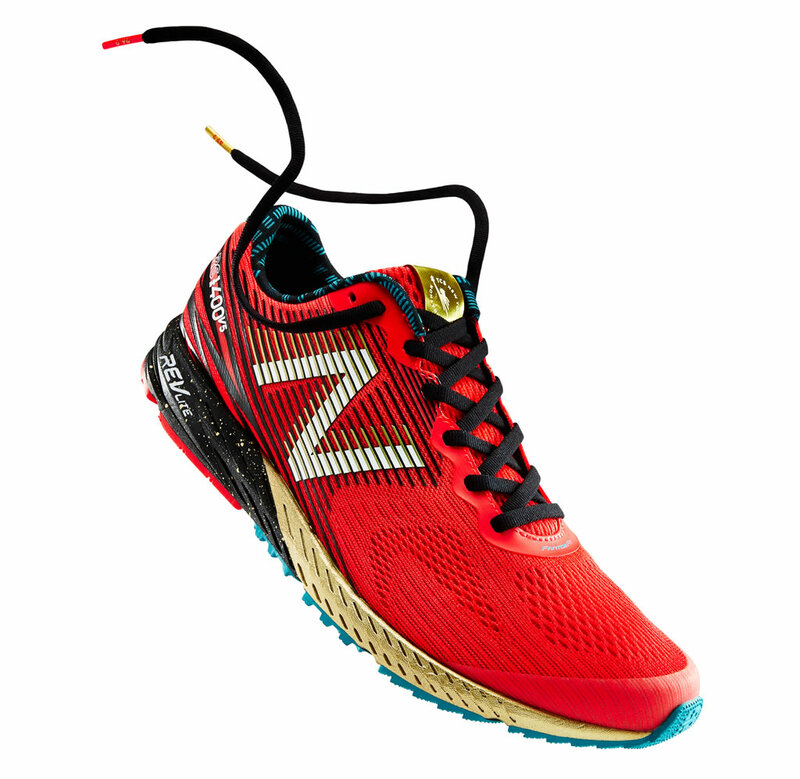 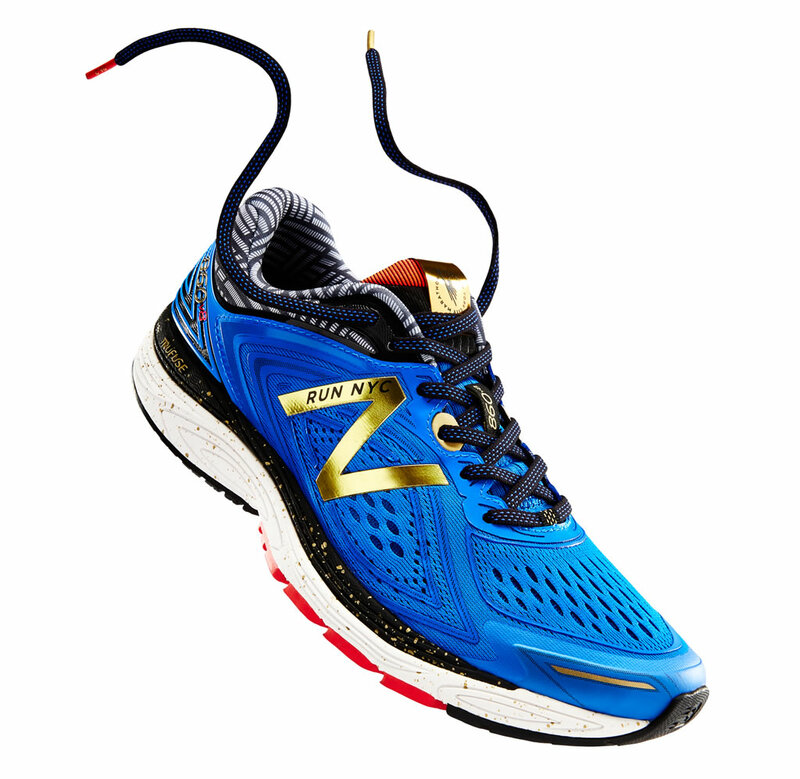 The Fresh Foam Zante v3 Marathon boasts a gold-speckled midsole, a deluxe embroidered NB logo, and standout black and grey grid graphics, while the 1400v5 Marathon comes in a single Red/Black/Gold colorway, featuring a mesh upper, a REVlite midsole, and a thin internal cage for support. 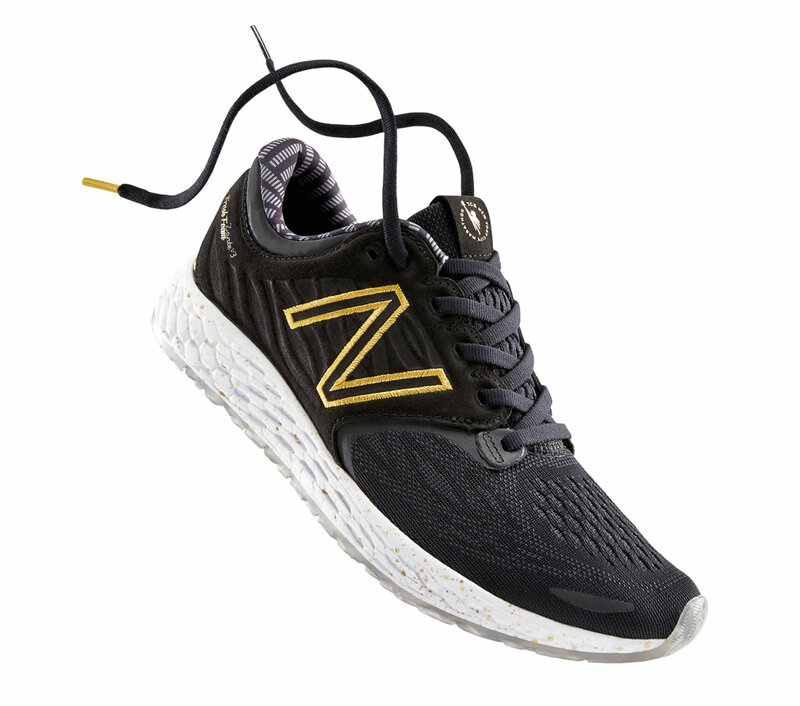 The 860v8 Marathon by New Balance comes equipped with a generous set of features, including a refined upper shape, a post-applied medial post for stability, and a TRUFUSE midsole that offers amazing cushioning. 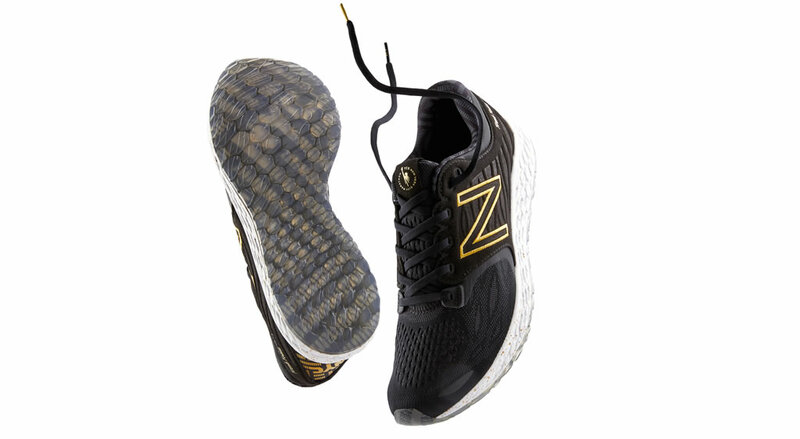 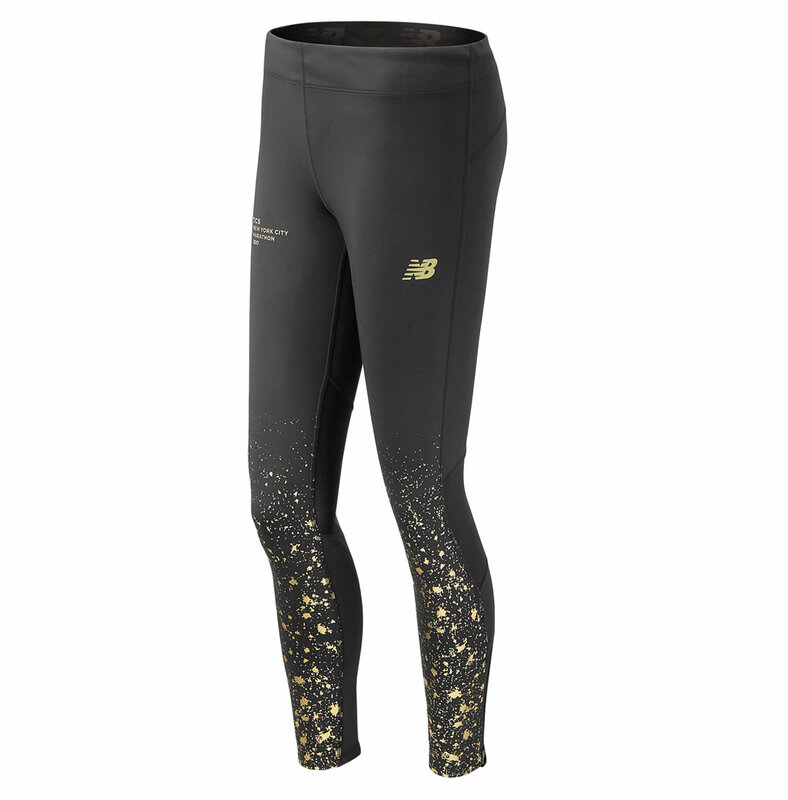 As for the last shoe from this collection, it is dubbed Fresh Foam 1080v7 Marathon, and it features a black reflective NB logo with gold graphics on the midsole, an engineered mesh upper, and a FANTOMFIT in the midfoot for secure. 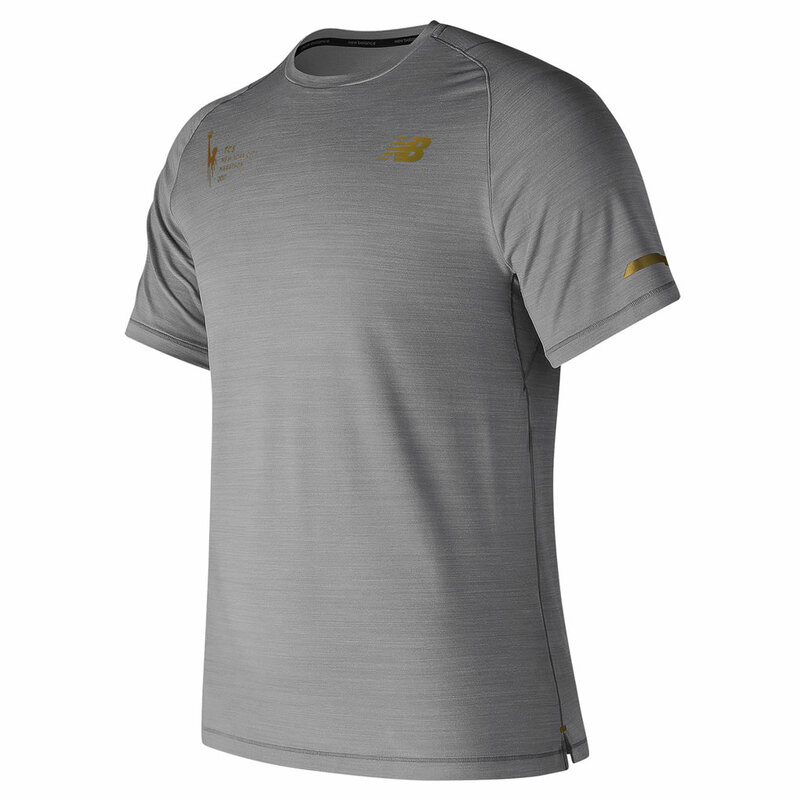 Moving on to the New Balance Marathon apparel and accessories collection, it includes a selection of premium pieces that were designed to represent the city. 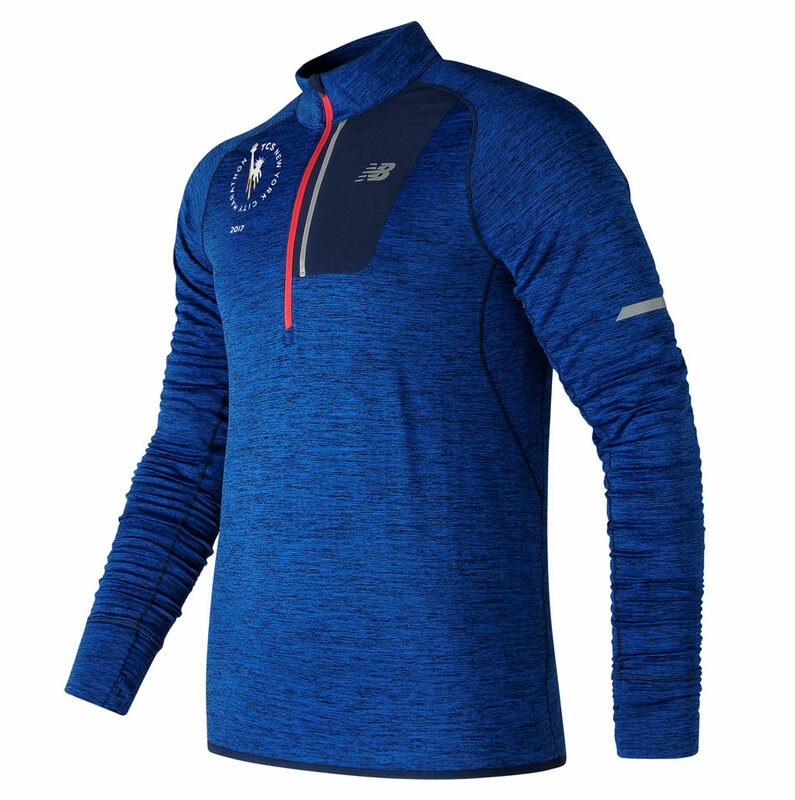 The main highlight of the collection is the Marathon Windcheater Jacket, which comes in three different colorways named Energy Red, Vivid Cobalt Blue and Black Rose. 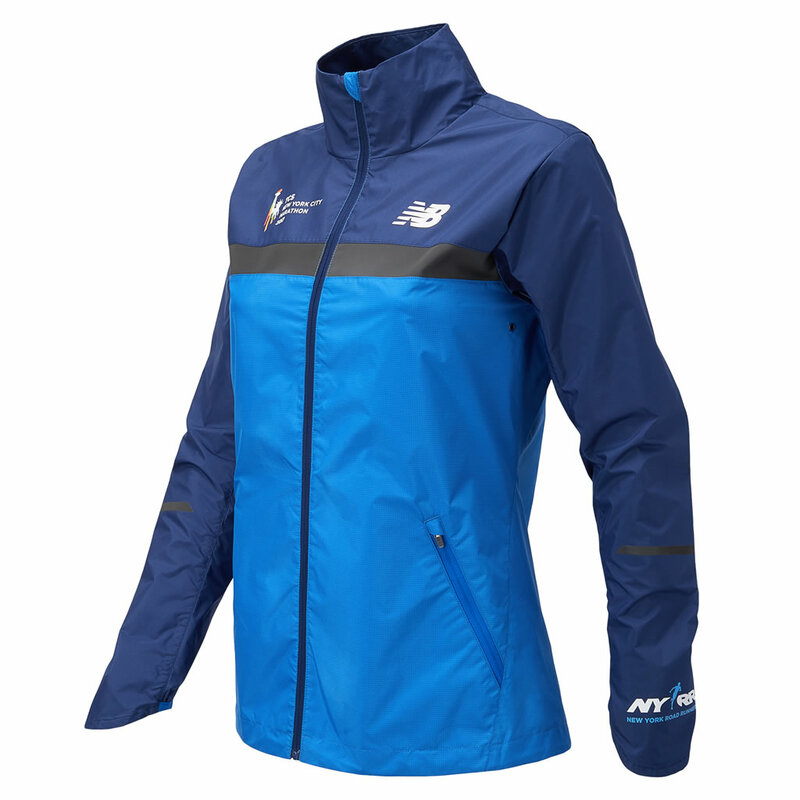 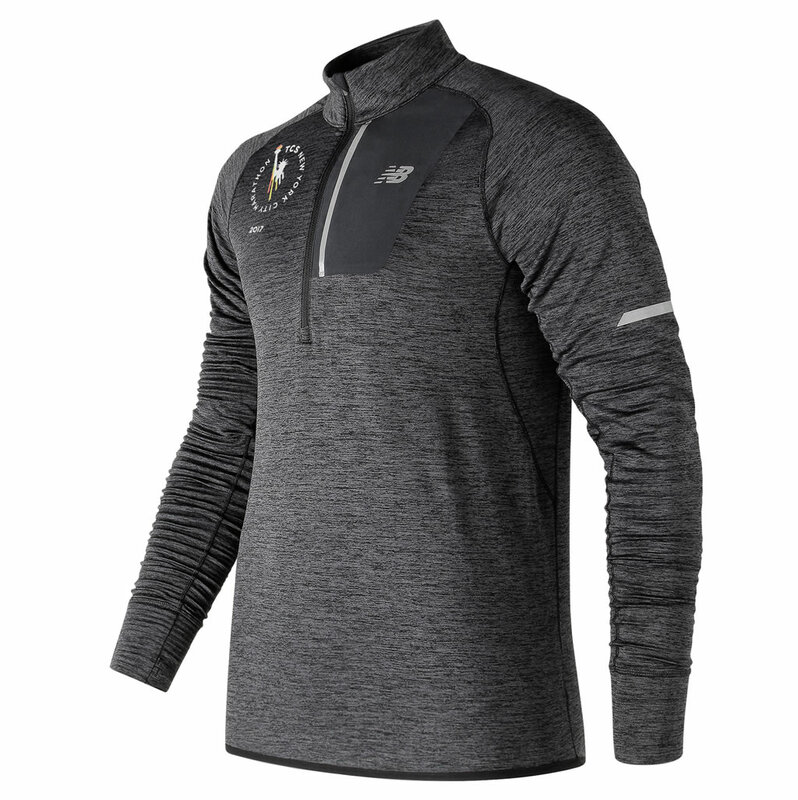 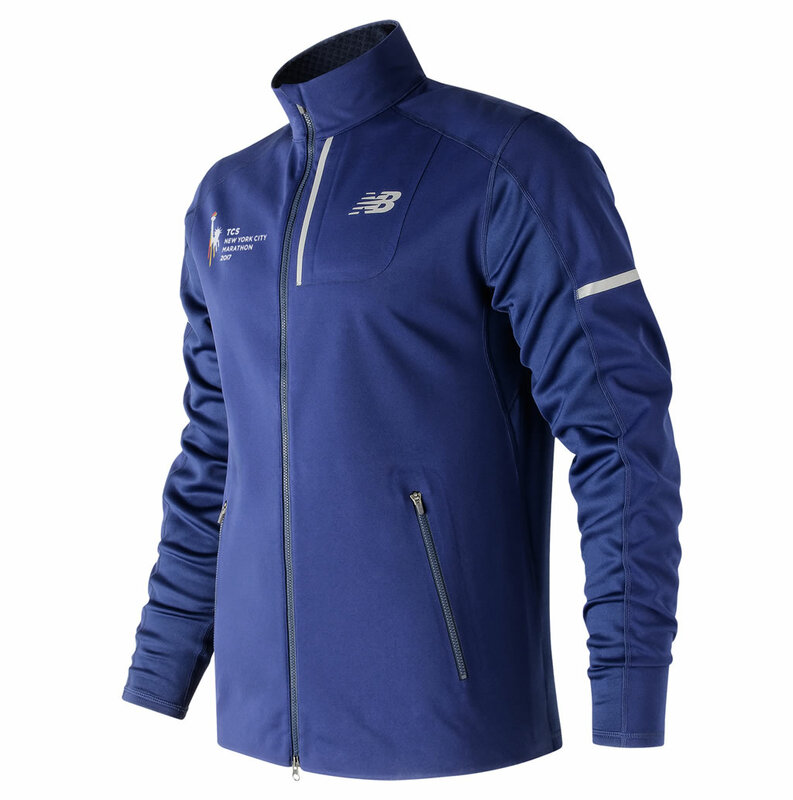 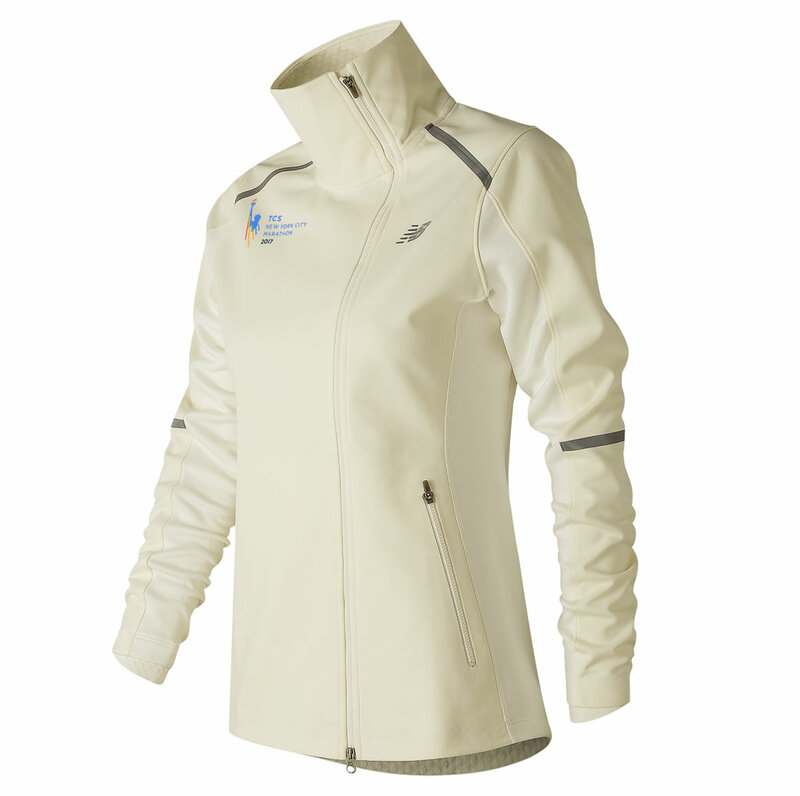 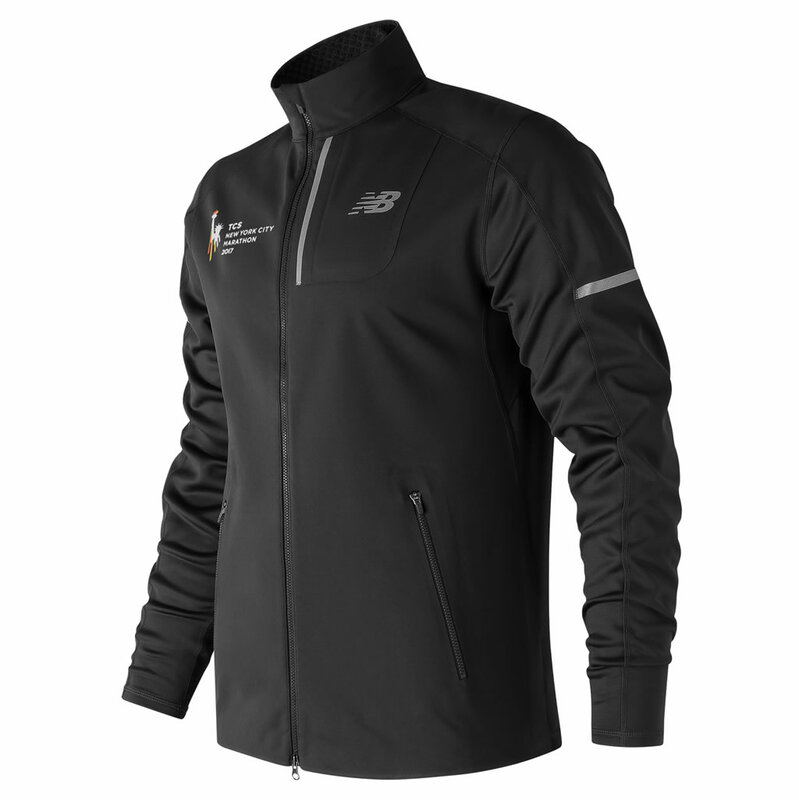 Made in collaboration with the New York Road Runners, this full-zip jacket by New Balance is a comfortable and reliable piece of apparel that was made out of a lightweight, wind-resistant woven fabric with reflective taping. 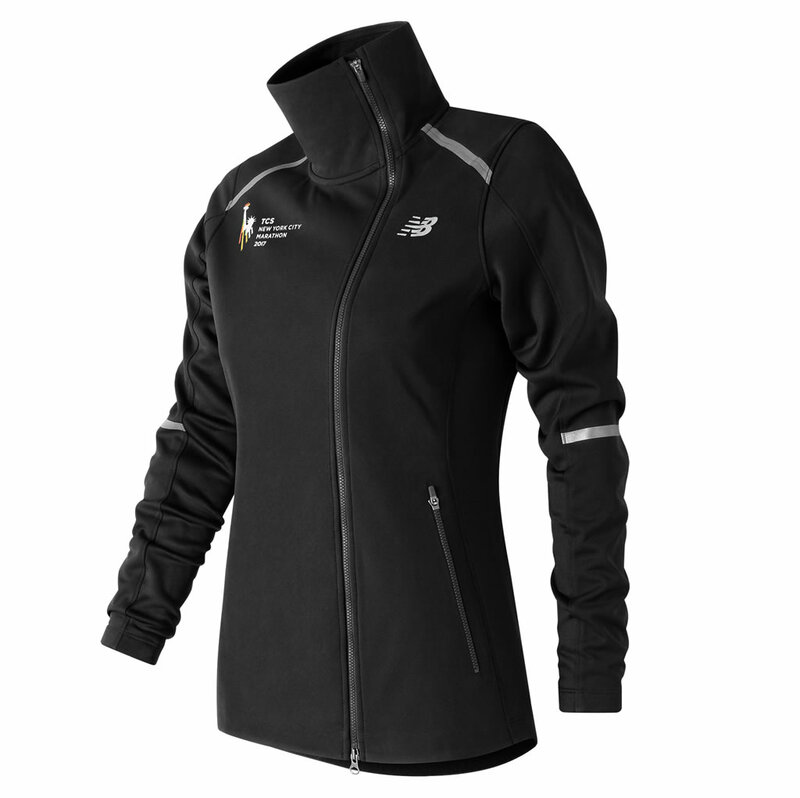 There’s also the Seasonless tops that boast a rating of UPF 40, and the Precision 3-in-1 Jacket, which incorporates a zip-out Polartec® Alpha® insulated vest and NB Heat technology in order to keep you warm during cold conditions.